One of the main reasons why buyers are reluctant to source directly from Asia, is because without the right tools or experience, finding the most appropriate suppliers in the region can be like looking for a needle in a haystack. However, there are plenty of useful sources of information available to find suppliers in Asia that will make your search easier. Google is a great way to look for suppliers. However, your search results may be limited because the relationship between Google and China is not very good. The same is true for Bing. To counteract possible restrictions, you can also use the Chinese version of Google, Baidu, as it will usually offer you a more extensive range of suppliers located in China. Every year Hong Kong is one of the hottest spots for trade shows for a vast range of consumer goods such as apparel, lighting, toys, jewelry, gifts and premiums, and more. Examples include an event organized by HKTDC, which attracts manufacturers from all over Asia to the Hong Kong International Convention Center. The trade show at the Hong Kong Asia World Expo, organized by Global Sources is also very popular. Both organizations are well known, have years of experience in the industry, and can provide expert assistance to buyers in their sourcing journey. Global Sources, in particular, can provide customized services for their clients. Suppliers at these trade shows are considered to be at the “top level” of the market. They go through a selection process and are willing to pay a significant amount of money to be present in Hong Kong for those few days. 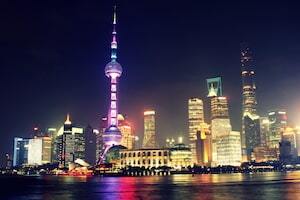 Another hot spot to find suppliers in Asia is the Canton fair, located in Guangzhou, China . This trade show is enormous, with a physical size comparable to an international airport. Attending this event is an excellent opportunity to meet thousands of suppliers, but there are so many that it’s impossible for you to visit them all in one trip. To maximize your productivity, you should focus on just a few products. Otherwise, you may end up with a lot of contacts but not the ones you need to generate business in the upcoming season. Other smaller but interesting trade shows also take place in Europe and North America. Their proximity to you and their smaller size makes them easier to visit for a day or two and provide a better opportunity to initiate face-to-face negotiations with the most relevant vendors. These events offer less choice when compared to the Asian exhibitions. Nevertheless, manufacturers who can travel to other continents to promote their products are usually quite experienced and able to serve their international customers well, providing you with a more positive initial experience with manufacturers in Asia. Global Sources organizes one of the most famous trade shows in the USA in Miami each year and exhibits suppliers specializing in Electronics, and Gifts and Premiums. Reddit.com – This platform is not very appealing, but it does provide a forum for exchange and the ability to find some great contacts. New customers contacted AQF after reading some references about us on this social network. Facebook – There are several groups for Amazon sellers, including the following: Treasure Hunting, Smart China Sourcing. More generic groups which are valuable for measuring the trends, exchanging ideas and identifying potential new suppliers include China Sourcing, China Export & Import. In addition to being the world’s most extensive network of professionals, LinkedIn also provides members with an opportunity to connect with a broad range of suppliers. You can also find suppliers in Asia subscribing to several specialized groups, such as country-specific networks. Examples include: Buyers, Buyers world, International import-export. Global Sources is one of the major online players and provides an extensive range of pre-selected suppliers. The platform is easy to use and allows you to get in touch with a particular supplier and request a quote. You can also buy samples which is one of the most effective ways to evaluate your supplier’s capacity to manufacture your product. 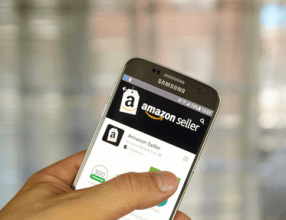 Also, GS is very focused on Amazon sellers and provides a selection of different tools to help them find suppliers in Asia. They also publish and share a wide range of relevant content from various procurement professionals across Asia that will help to develop your knowledge about sourcing. Alibaba is also a major manufacturer database provider. They have made significant improvements over the past year and now provide the ability to request a quote from multiple suppliers which can save you time in the research phase. However, keep in mind that Alibaba may suggest suppliers that are paying for a higher position in the search results and may not be the best value for your needs. The good thing is that they are transparent on their advertising policy, and you can verify the membership conditions of the suppliers from the website directly. Among all the contacts you come across, you may find that some are traders. It is critical that you clarify if the supplier you are in negotiations with is the direct manufacturer or someone acting on their behalf. As an intermediary, a trader should know his suppliers well and have the ability to source the best value for you. However, avoid putting all your eggs in the same basket by ensuring a third party is in charge of evaluating the quality of your manufactured goods. Unfortunately, many Traders are in a complicated position and often lack the required expertise and impartiality when assessing an important supplier’s products. While it does take time to identify suitable suppliers, you can maximize your efforts and get a more precise idea about which ones to get contact by researching well and exchanging information with other professionals on social networks. However, this is just the beginning of your procurement journey. The next step is to implement a rigorous process to qualify the supplier and verify they can meet your requirements. We will provide you with some useful resources on how to do this in the coming days!